Iceland can be perfect touristic destination not only for nature lovers, but for those who are interested in history. Many of the most popular sites formed thousands of years ago and some of the places are famous for its historical values. 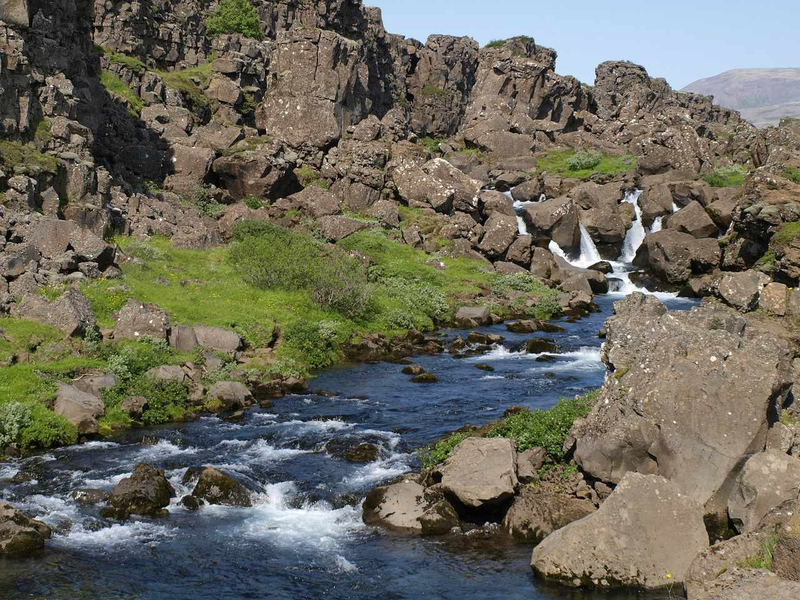 It is not surprising that Þingvellir is registered in the Unesco World Heritage list: from 930 AD Icelanders started gathering here and till 18 century it was an open air place for an Icelandic Parliament. Since then Icelanders celebrated national holidays in Þingvellir, also it was a symbolic place of local poets. The parliament took place in stunning rift valley, which is claimed to be formed 10,000 years ago. The breathtaking waterfall is located in the northern part of Iceland. It is a wide river waterfall, which is famous for its striking views. However, there is more about it: during the time Iceland accepted Christianity, law speaker Þorgeir Ljósvetningagoð threw statues of Norse gods into Godafoss. This site used to be a major trade market in Medieval time, it is located approximately 11 km from Akureyri. The best time to visit this place is in July, when local craftsmen reconstruct Medieval market and sell hand made products. Archeologist believe that the site was vibrant trading point till 16 century. The place is tragically known because of the huge battle that happened here between Icelandic biggest clans in 12 century. It was part of the civil war that was going in the country. The place is mentioned many times in Icelandic literature. It is located in West Iceland. Another site that is famous for trading, which was active there around 400 years ago. Apart from it, Stykkishólmur is well known for its oldest meteorological station in the country and according to some experts, in the world. The station started operating in 1845 and currently you will find a local folk museum in the building. There are many old houses in the area, which makes this place very cozy and distinctive. It is one of the oldest fishing site in Scandinavia, some fishermen’s lodgings are claimed to be 700 years old. The place was abandoned in 1948 and there some ruins and tracks still can be found here. Close by there are ruins known as “the Irish camps”, which are dated back to 9-10 centuries.